It took a few months, but HP has addressed concerns about the new Envy 15's wonky screen colors with a reluctant admission. The system's optional 15-inch 1080p IPS "Radiance Display" stands as one of its key marketing points. IPS panels are usually purchased for their improved viewing angles and color reproduction. However, shortly after launching customers began complaining about the system's inability to display certain colors right. In a 32-page thread on Notebook Review, Envy 15 owners explain how reds appear too orange, while purples are too blue. The thread contains several image examples (The Verge has some too). "HP understands that some customers have expressed concern regarding the appearance of the color red in the Envy 15 full High Definition (HD) panel, and we wanted to reassure our customers that this panel is functioning properly," the company said. 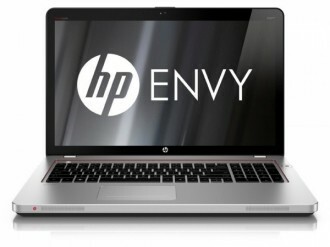 "HP Envy Series notebooks use optional premium LED-backlit display panels that have a higher color gamut (range of viewable colors), brightness and viewing angles than many display panels. This means that some colors may appear differently than they do on other displays." Translation: the 15-inch Radiance Display works fine, it's just so much better than other notebook screens that it can't accurately show certain colors. Wait, what? Bah, it doesn't even matter. The important thing is, the company plans to release a software utility in the coming weeks that'll let folks adjust their default color settings. Unfortunately, it's unclear what the utility will do and some users doubt it will solve the problem. The Verge notes that it tried various off-the-shelf calibration tools, but the affected colors only got darker, not more accurate.